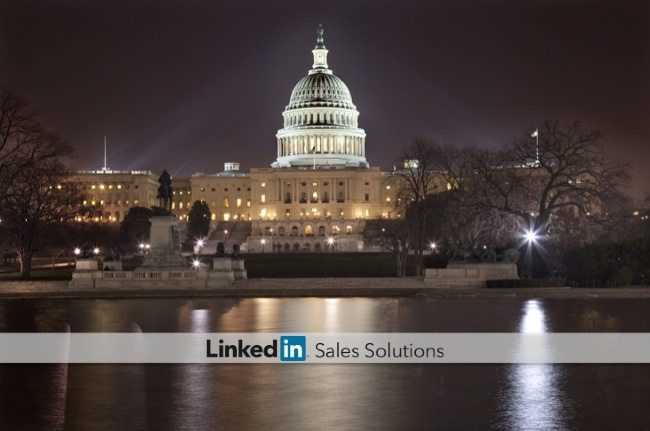 Strengthen your sales strategy with these 4 tips from Frank Underwood, and ensure your pitch isn’t built on a house of cards in this post from LinkedIn Sales. Netflix subscribers rejoice – the much-anticipated second season of House of Cards premieres this week. Centered around an ambitious and cunning politician named Frank Underwood (portrayed by Kevin Spacey), the show has generated widespread acclaim from viewers and critics. Underwood is known for his particularly ruthless political tactics, but he ultimately gets his way through sheer determination. While we don’t endorse any under-the-table dealings, sales professionals can still take a few lessons from Underwood when looking to advance their goals. In season one, Underwood served as the Democratic House Majority Whip under a new White House administration. He had already established a reputation for cunning political insight, collecting numerous allies and holding them in his back pocket. He knows they can be trusted, and he uses them to further his goals. Selling is a team effort, and your network plays a significant role with successful prospecting. Become familiar with you individual network, then use TeamLink to find the best path to your prospect. You stand a greater chance of success with a trusted source introduction than by reaching out cold. Most politicians are able to recite talking points and pull numbers from a recent poll. But truly gifted lawmakers can weave a story that captures the attention of their constituents. Underwood hails from South Carolina, not normally considered Democratic territory. But he leveraged his familial and military connections to win the rural seat, and then used his political talents to ascend higher. Talking points might get you into the boardroom, but a compelling, relevant story about achieving results with similar companies can help win over prospects. Boost your chances even further by looping the customer into your story – it will show that you aim to represent them, not the other way around. Underwood may have his loyal assistant in Doug Stamper, but he’s not afraid to do the work himself. In fact, he sometimes relishes direct contact with friends and enemies – it gives him more opportunities to read and understand their behaviors. His lengthy stay with presidential advisor Raymond Tusk served to evaluate his capabilities for higher office. Underwood is in his element during these direct discussions. Making the initial connection is merely the first step – now you need to provide consistent, direct connections. Give your prospect a reason to keep engaging – a personalized piece of content helps build trust between both parties. There is no delegating with selling tactics – you are your own brand advocate. Make sure your profile is up to date, and enhance it with unique and curated content – think of it as a personal microsite. Frank Underwood always has a plan. The entire story arc of the first season revolves around his elaborate plan to reach higher office. Underwood never makes a move without first assessing the risks and rewards – which then strengthens his tactics. With the wealth of searchable data available from LinkedIn Sales Navigator, there’s no need to speculate on prospect behavior. Advanced segments help narrow your focus based on geographical or demographical metrics, allowing you to plan your methods before the initial contact. We’ll have to wait until Friday to see if Frank Underwood’s tactics bear fruit, but you can get started with a revitalized social selling plan now. Tweet us @linkedinselling to learn more.